Update: I’ve been running a little experiment where I’ve configured a Windows 8 virtual machine (in Parallels on my MacBook Air) with 2GB of RAM, 256MB of video RAM, and a single processor core. I’ve been running this VM as my exclusive notebook for over a week now, and frankly I’ve had no problems whatsoever in terms or performance or stability. I’ve used all of my normal apps as I typically use them (Office apps, Evernote, MetroTwit, and Chrome with multiple tabs open, a few modern UI Win 8 apps), even pushing things a bit, and I simply can’t notice a difference from 4MB of RAM (or more). Adding in a second processor core didn’t make a difference either. Maybe it’s the SSD serving as the paging disk, or maybe Windows 8 is more efficient than Windows 7, but I’m a bit less concerned now about the ATIV Q’s 4GB of RAM. Ultimately, and this really should be obvious, whether or not 4GB or 8GB or 16GB of RAM is enough depends on how you use a given machine. Everyone’s use-case is different, and so there’s really no one-size-fits-all answer to this question. The least amount of RAM that I typically consider for any modern notebook is 4GB, and I’m much more comfortable with 8GB. I probably don’t use more than 4GB on a daily basis, but I tend to purchase technology on the principle that it’s better to have something and not use it, then to need something and not have it. When thinking about the Samsung ATIV Q, however, I’m struck that perhaps my usual yardstick doesn’t apply. First, the thing has a ridiculously high resolution at 3200X1800. That probably doesn’t matter much for typical work in Windows 8, and one won’t be doing any native-resolution 3D gaming on this thing, but I’m not sure of the impact on Android. Will Android use more RAM if it’s running at full resolution (which it should?). Update: Apparently, the ATIV Q runs Android at a non-native 1920X1080, or 165PPI (read the comments). Yuck. Read my other post for an update. And then, of course, there’s Android itself. Pretty much every Android device shipping today has 1GB of RAM, and uses it, and many are now shipping with 2GB. There’s even talk of some upcoming devices having 3GB of RAM. We have to assume that the Android virtual machine running on the ATIV Q will allocate some specific amount of RAM, and that it will be sufficient to run Android efficiently. So, you have the typical 256MB to 500MB taken by the integrated Intel GPU (please correct me in the comments if I’m wrong here), leaving 3.5GB to 3.75GB available, and then you have Android taking, let’s say, a minimum of 1GB. That means the ATIV Q could be giving Windows 8 as little as 2.5GB of RAM, or less. On the Lenovo IdeaTab Lynx that I tried out, 2GB of RAM meant numerous out-of-memory errors even during relatively light use. I wouldn’t be comfortable with a cushion of only half a gig. The bottom line, then, is that the more I think about it, the less comfortable I become with the idea of an ATIV Q with only 4GB of RAM. If that’s the only option that Samsung offers, I’ll probably have to pass, even though the ATIV Q is the most exciting gadget I’ve seen in quite some time. Here’s to hoping that Samsung sees the errors of their ways and either increases the ATIV Q’s base RAM, or offers more reasonable alternatives. So far, they’ve been silent on release and pricing details, and so we really don’t know what they’re going to do. Update: I should add that I’ve seen similar sentiments—that folks aren’t going to even consider the ATIV Q with only 4GB of RAM where they’d otherwise buy one yesterday—on every forum I’ve visited and in the comment section of every article I’ve read about the machine. I can only hope that Samsung is paying attention. The ATIV Q comes with 4 GB of DDR3L RAM and will come to you with 256 GB of internal SSD storage. If it’s not enough, you can add some with the memory card slot, or would simply have plug in or stream from an external drive. The Android mode shares the 4 GB RAM amount, with the default split being 1.5 GB for Android and 2.5 GB for Windows, but you can change the ratio with a slider provided in that same Dual OS Configuration Tool in settings. Android also gets 16 GB of its own storage in Dual OS mode for apps and the like. So, there you have it. Coupled with the low PPI in Android, and unless things change, the ATIV Q is no longer on my wish list. The point is so simple as Samsung selling a model with 8GB RAM. People is really upset. Seriously, you are right about general opinion, on every forum i read, every comment just make a appointment about the RAM, comparing it to the Sony Duo 13. Ativ Q is for me the perfect machine in every sense for daily life (as laptop/tablet on my home and university, specially for Spen/qHD+ resolution combination). Im not looking for gaming for example, but Haswell and 8GB RAM would help a lot to the 4400 Intel Hd, which is really weak as GPU, for 2011 games and above. Hell, even 2012 games would go more or less in Low Settings. PD. Above that, if Samsung would have managed to introduce 5000 series… Man, it would have been killer. 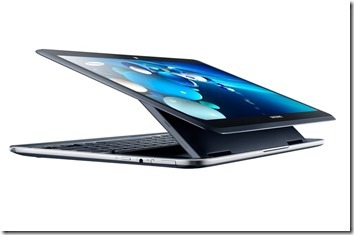 Next Ativ Q Generation could be a killer device if thing are done right. I get the price would go high, but it would deserve it. I’m not sure how expensive an ATIV Q with 8GB RAM (and 256GB SSD) would have to be for me not to buy it, even with everything else remaining the same. Maybe $1800 would be too much. Maybe not, though. I’m a graphic designer, and I’m certain that 4GB of RAM is not enough for me to run things smoothly, I hope Samsung consider an optional 8GB version of the device, the price does not matter this device worth every penny, another request: they should backlight the keyboard, it’s pretty handy on dark environment. Yes, some folks will need more than 4GB of RAM. I think I noted that in the post. 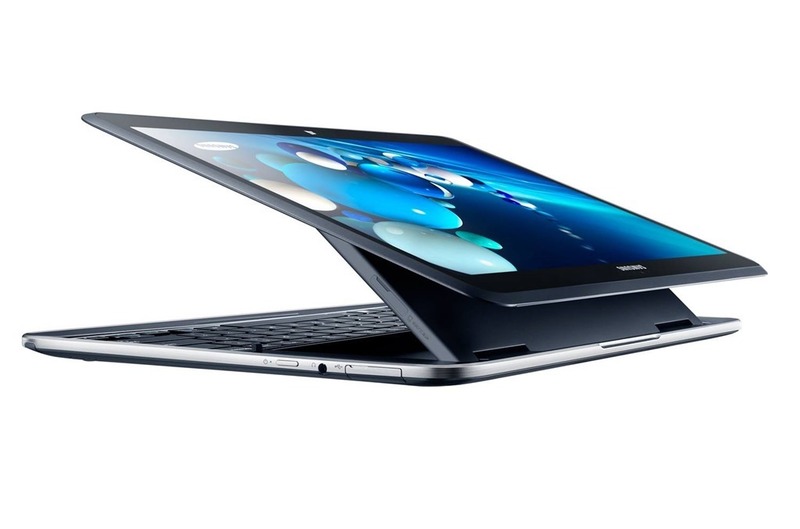 However, given the delay and lack of information from Samsung, I’ve pretty much lost interest in the ATIV Q. And I grow more convinced every day that the thing will never be released.